Jordon grew up in North Idaho and attended Coeur d’Alene High School. In his free time, he enjoys spending time on the lake and playing any and all sports. His past experience includes working as an assistant golf professional and sales project manager. 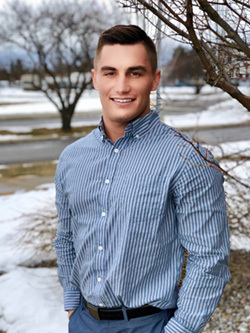 Jordon joined the Dickinson Insurance team in 2018 selling life insurance. He likes providing knowledge to his clients and ensuring that they trust him with their life insurance needs.